And because it’s too revealing for my taste and I’m not used to wearing tube dresses. I decided to wear a lace cover up from OASAP so I won’t be bothered with my too much skin showing up. Thanks to this lace cardigan, I can still move freely with my “too” little black dress. Haha! 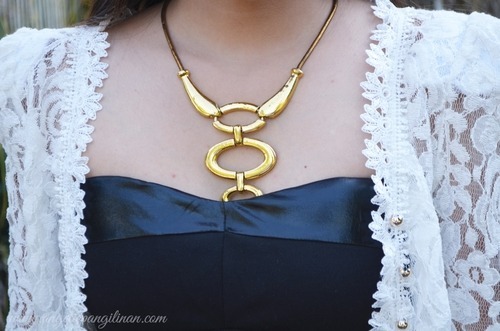 And yes, I rely on gold necklace again to add a classy feel to my outfit. 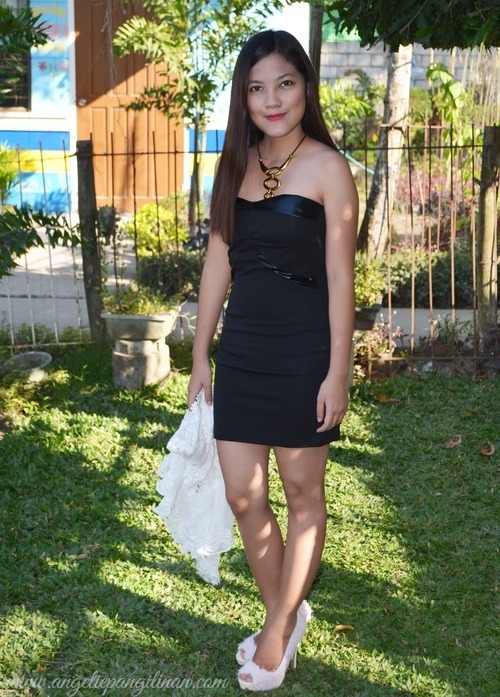 I also wore my fluffy pumps from Oasap which is so comfy! It’s available in color black too, you must give this pair of pumps a try.